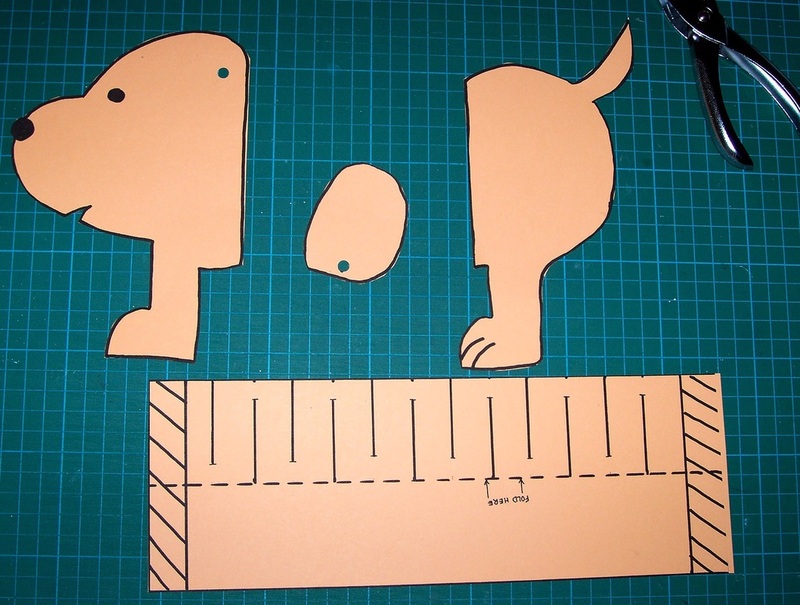 Kids will have fun making this dog, decorating it and then playing with it - making it's middle stretch. 1. Two pieces of A4 paper or light card. 1. Print out the two templates onto A4 paper. 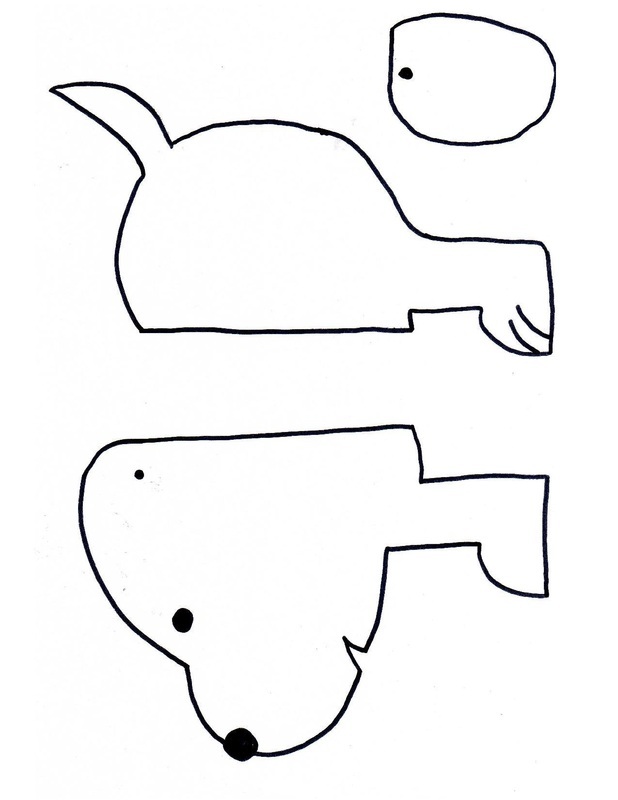 You can use white (if you would like to colour it yourself) or coloured paper or light card. Click on the template image (right) and save to your computer. Print from there. 2. Cut out the four pieces. If your child would like to colour in the pieces, now is a good time to do this (it is harder once the middle piece is folded and cut). Colour in the PRINTED side of the head, ear and rear, and colour the REVERSE side of the middle section. 3. Fold the middle section in half, along the fold line indicated. 4. Cut along the lines as marked (with the middle section still folded). Be careful not to go past the end of the lines when cutting. Unfold the middle section. 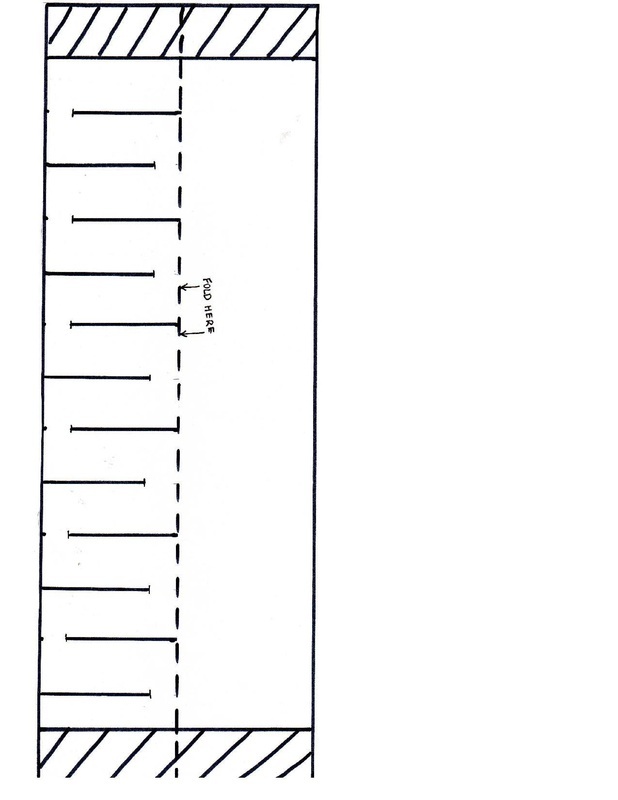 If it is cut correctly, it will stretch as shown in the image below. 5. Turn the middle piece over and place DSST on both ends as shown below. 7. Attach the Head and Rear sections over the DSST, as shown. Attach the ear using the split pin. If you have a hole punch, use that to punch a hole in the ear and head where marked. Otherwise, push the split pin through where the holes are marked. Stick the goggle eye where marked.